São Paulo is one of the oldest cities in Brazil, and by far the largest and economically most important city. São Paulo hosts the main international airport (Guarulhos) and the international stock exchange (BOVESPA). Many national and international banking companies have their headquarters in São Paulo. Recently, the São Paulo has been ranked among 40 cities in the world that would make a difference in people’s lives in the future: ‘City of the Future‘. São Paulo is one of the World Cup host cities in 2014. The city of São Paulo is the capital of the state of São Paulo. 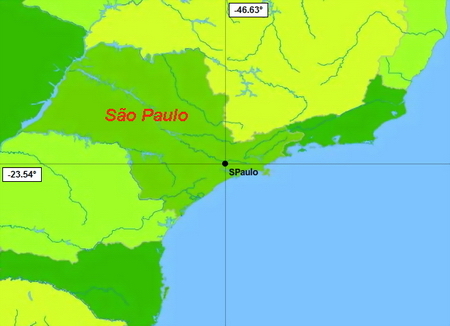 The state of São Paulo is surrounded by Rio de Janeiro, Minas Gerais, Paraná, and the Atlantic Ocean. Although the state comprises only three percent of the Brazilian area, it hosts more than one fifth of the population. Half of the São Paulo state population lives in Greater São Paulo; of them, one half resides within the city limits of São Paulo. The average height is 760 meters. The city of São Paulo is 1522 square km, while Greater São Paulo is 7943 square km. The Tietê River runs through the city, its origin is only 22 km from the coast, but the river runs land inward. São Paulo hosts one of the world’s largest city forests, the Parque da Cantareira, with remnants of the native Atlantic Forest. Before the discovery of Brazil by the Portuguese, the region of São Paulo was inhabited by Tupi indians. The first recorded European settlement was by a shipwrecked Portuguese sailor, João Ramalho, who later married a daughter of a local chieftain. The Portuguese Martim Afonse de Sousa landed in São Vicente and added Ramalho’s settlement under his jurisdiction. In 1553, two Jesuit priests, José de Anchieta and Manoel de Nórbrega crossed the Serra do Mar mountains to reach the plateau of Piratininga. 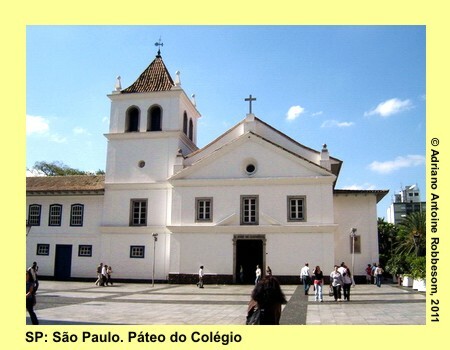 On January 25, 1554, the two priests started the construction of the College (the foundations are still found inside the Pateo do Colegio), that marks the date of the foundation of the city of São Paulo. The name ‘São Paulo’ was ratified by the Portuguese king, 157 years later. Initially the settlement had to endure fierce attacks from the local indian tribes. Around 1600, the settlement counted 1500 citizens. With time São Paulo became the starting point of many expeditions of the so-called ‘bandeirantes’ (pioneers), who explored the Brazilian mainland in the search of indian slaves, and later, of gold and other precious metals and stones. In 1815, the city became the capital of the capitania of São Paulo. The capitania – and later – state itself was split, to create three new states: Minas Gerais (1720), Goiás (1748), and Paraná (1843). 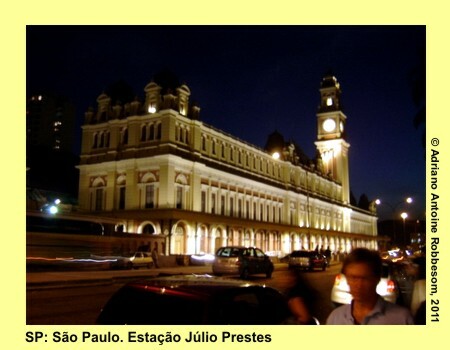 It was not until the end of the nineteenth century that São Paulo gained economical and political influence. Before, the economic activities were concentrated in the northeast (sugar production), and later in Minas Gerais (mining). With the large-scale production of coffee, that made Brazil the world’s largest coffee producer, São Paulo experienced a boost of its economic activity. Since slavery was abolished in 1888, the labor force was recruted from European and Middle Eastern countries. Industrialization attracted many farmers to the city and was responsible for the boost of the city population. At the end of the nineteenth century, more than half of the São Paulo population consisted of migrants, mainly Italians, Portuguese, Spaniards, and Arabs. São Paulo – and Brazil – suffered effects of the First World War (1914-1918) and the Great Depression in 1929. Dissatisfied with the economic crisis, the labor force held mass strikes. Sparkles for more turbulence ignited in the Constitutional Revolution in 1932, against the Brazilian federal government. As a result, the Brazilian government regained control of the state. In the 1940s, another industrial expansion attracted migrants from other parts from Brazil, mainly from the poorer northeastern states. In recent decades, São Paulo gained its reputation as an economic and financial stronghold on the Southern American continent. At present, the state of São Paulo boasts to contribute for about one half of the Gross Domestic Product (GDP) of Brazil, and ranks fourth of the American continent, following the United States, Canada, and Mexico (Brazil -2nd – excluded in this ranking). Since the seventies of the past century, industries moved to the so-called ABCD-region: Santo André, Sâo Bernardo do Campo, São Caetano do Sul, and Diadema. The industrial activity (46 percent of the economic activity) mainly consists of machinery, aviation and automobile industries, and textile. Financial services and commerce are good for about 47 percent of the economic activity, while agriculture (oranges, sugar, coffee) counts for a little more than 6 percent. São Paulo was founded on January 25, 1554. The remnants of the original foundations of the Jesuit College are found in the Pateo do Colégio. The heart of the city of São Paulo is marked by the so-called Marco Zéro: directions to the neighboring states are indicated on it. 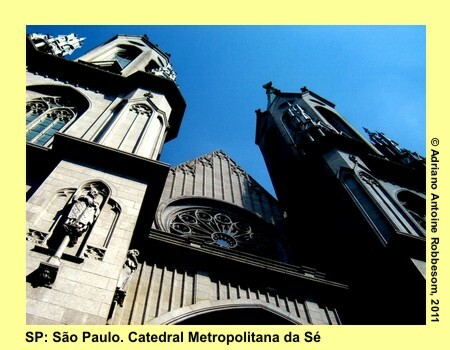 The square is flanked at one side by the neo-Gothic Catedral Metropolitana da Sé. The construction of this cathedral, with two towers of 92 meters each, was started in 1913 and finished about forty years later. Another tall landmark in the city is the Edifício Itália, with 46 floors and 165 meters high. From the top of this skyscraper one may have a splendid view of the center. 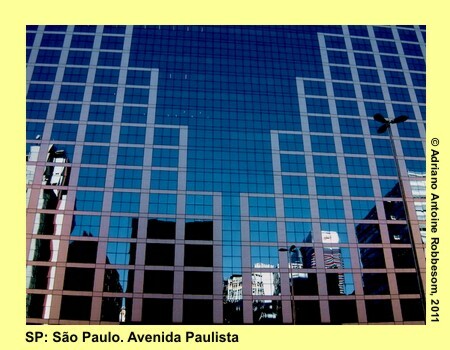 Talking about skyscrapers, Avenida Paulista counts many of them; headquarters of various Brazilian and international companies are located inside thise huge buildings. 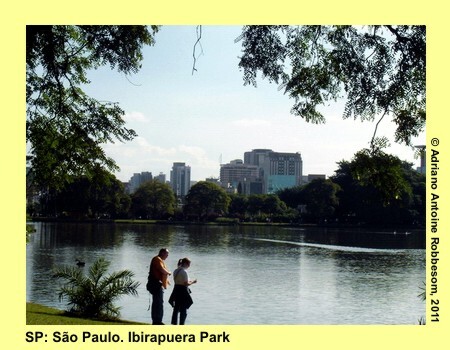 More down to earth, and close to the nature, the immense Ibirapuera city park provides you the sensation of having escaped the concrete and asphalt. Next to the park, one may find two exquisite museums, of modern (MAM) and contemporary art (MAC). São Paulo also hosts an impressive historic collection in the MASP (with paintings of famous international artists as Rembrandt, Rubens, Dali, Van Gogh, Picasso, and Frans Post) and in the Pinacoteca. The center hosts a large central market (Mercado Municipal), and many shopping centers (including the luxurious Iguatemi), and various shopping streets as Rua Augusta and Rua Oscar Freire, one of the eight most luxury streets in the world. The diversity of the population reflects into a huge variety of restaurants. From Japanese sushi to Italian lasagnas to Arab esfihas to Spanish paëllas to Portuguese bacalhaus. São Paulo is not far from neighbouring coastal cities as historic São Vicente and port city Santos. The traffic in the city is quite complex, but the metro system belongs to one of the finest in the world. Neighboring city Guarulhos hosts the international airport with numerous destinations all over the world.